The Settebello was a high-speed (for the time) service on the Milan-Rome line. It used highly distinctive trainsets, with an observation lounge at each end of the train. Is there anywhere (e.g. some rail museum) where I could see one of these trains (ideally being able to go inside)? 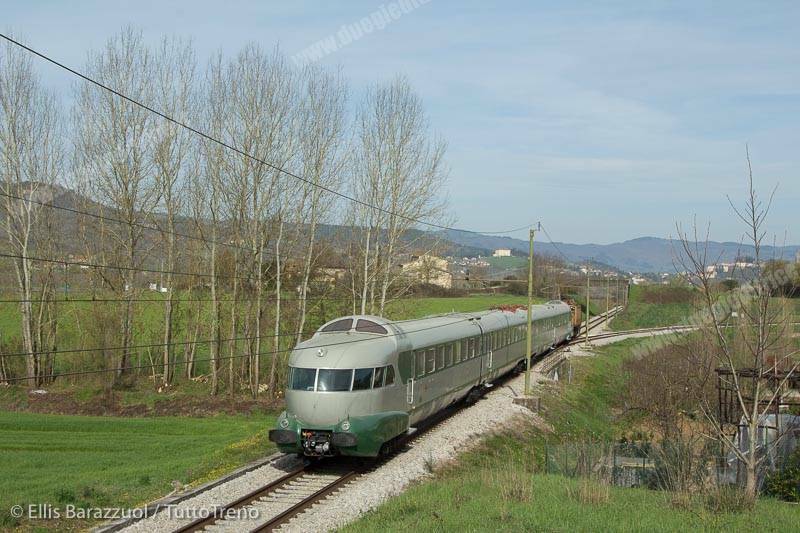 Only one of the ETR.300 Settebello trainsets survives. ETR.302 is stored at Falconara Marittima station, a few km north of Ancona. It's in a very bad state and you can't get inside. The blog post dates from January 2016. The train has already been cannibalized, and some of its interior was replaced in the '90s so it's not in its original state anyway. I'm no train expert, but it seems the Settebello term is just applied to the ETR-300 series of trains. As Hobbes points out, it doesn't seem like any of these are left. The best I could come up with is a model at the Pietrarsa museum. However, on researching the Settebello there is a series-250 called the Arlecchino which does have a model in service. A recent post shows some photos of the train for comparison. Some photos of both series available here and various videos on youtube. 2016 link indicating train is in service. Not the answer you're looking for? 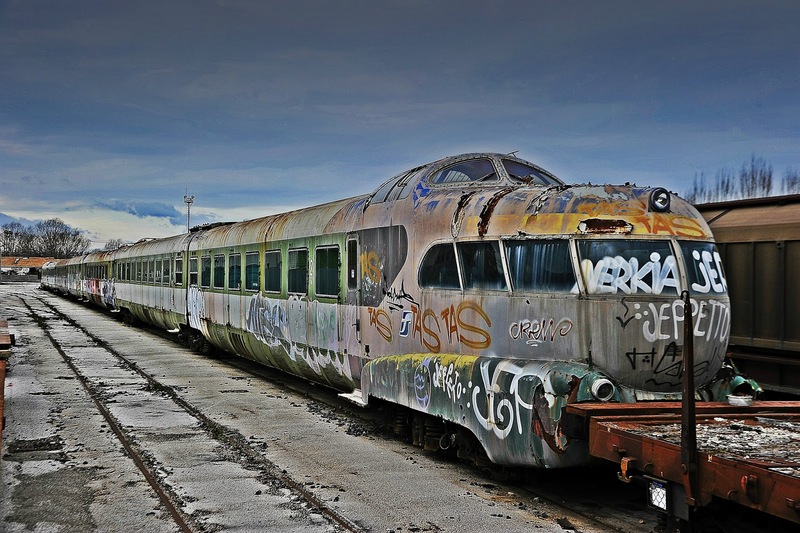 Browse other questions tagged trains where-on-earth museums or ask your own question. Is it possible to deduce the London Underground line based solely on the set number at the front of a train? Where can I find train routes using Wild West locomotives? Why doesn't Australia have any trains that can go faster than 160 km/h? What high-speed intercity trains allow passengers to sit in the front cabin? How does the conversion of Hoekse Lĳn to Metrolĳn B affect Rail & Sail tickets? Is there a realtime train position and timetabling tool for Deutsche Bahn trains? Is RailTeam's HOTNAT guarantee generally honoured in practice?